I’m so excited two weekends ago I went vintage shopping with my vintage shopping BFF in crime and stumbled upon this amazing find in the bottom of a glass case (yay for having eagle eyes). 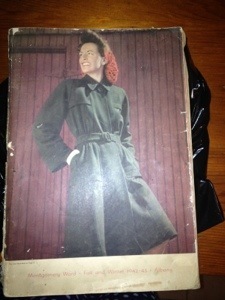 A very good condition 1942-43 Montgomery Ward Catalogue. 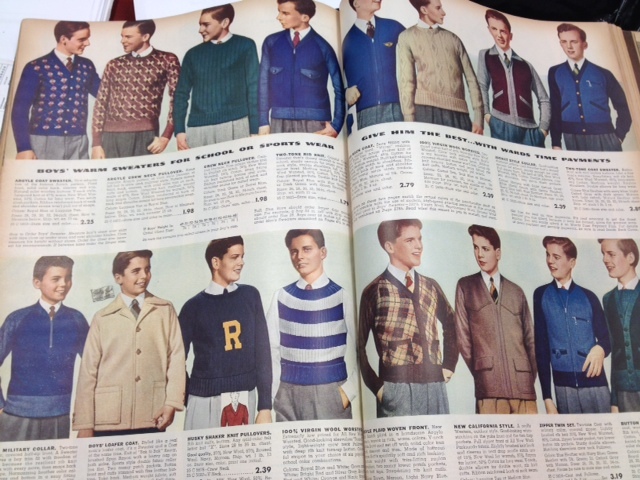 Some of you might be asking “what is Montgomery Ward“? Montgomery Ward was created by “Aaron Montgomery Ward” in 1872 as the first every dry goods mail-order catalog business in Chicago Illinois. After several years of working as a traveling salesman among rural customers. He observed that rural customers often wanted “city” goods but their only access to them was through rural retailers who had little competition and offered no guarantee of quality. Ward also believed that by eliminating intermediaries, he could cut costs and make a wide variety of goods available to rural customers, who could purchase goods by mail and pick them up at the nearest train station (Wikipedia-Montgomery Ward). The Slogan “satisfaction guaranteed or your money back”, Ward began using in 1875 (he created it). In 1883, the company’s catalog, which became popularly known as the “Wish Book”, had grown to 240 pages and 10,000 items. By 1904, the company had grown such that three million catalogs, weighing 4 pounds each, were mailed to customers. 1926 the first Retail store is opened. 1929 saw Montgomery Ward Double its stores to 531 across the United States. 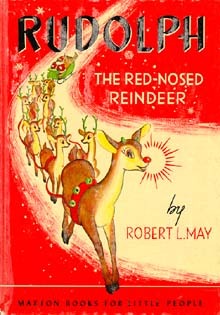 In 1939, as part of a Christmas promotional campaign, staff copywriter Robert L. May created the character and illustrated poem of “Rudolph, the Red-Nosed Reindeer.” Six million copies of the storybook were distributed in 1946. The song was popularized nationally by the actor and singer Gene Autry. 1950’s saw the store fall into its eventual downfall as the company was slow to respond to the general movement of the American middle class to suburbia. It’s competitors (like Sears) built stores where the customers where, Montgomery Ward chose to stay in City Centers and Main streets where the customers no longer shopped like they used too. 1985 the catalog portion of the business closes. December 28th, 2000 Montgomery Ward makes the announcement that it will shut its doors for good. Look at those Victory Suits…beautiful! Yes please I will take all the Velvet dresses and hats and jackets..how perfect would these be for the holiday season?? Look how handsome these boys are?? I wish my nephews dressed like this. So there you have a sneak peek into my recent vintage purchase. Hope you enjoyed learning a bit about Montgomery Wards and browsing the pages of the catalog just like so many people did back in 1942-43. What a seriously terrific find! 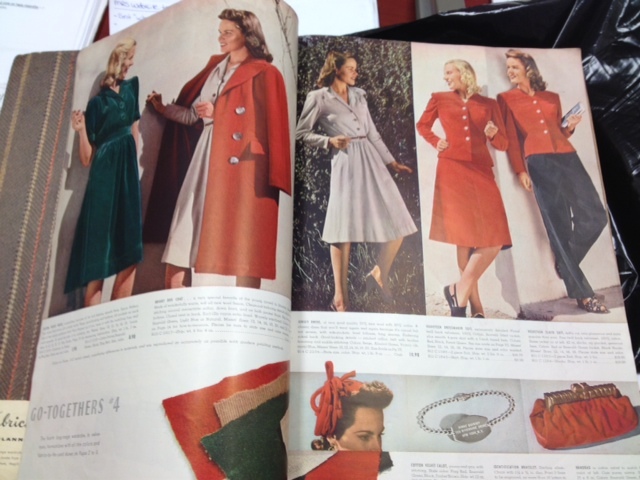 I adore vintage catalogs, too, and always keep my eyes peeled for them while out thrifting and doing the yard sale rounds. 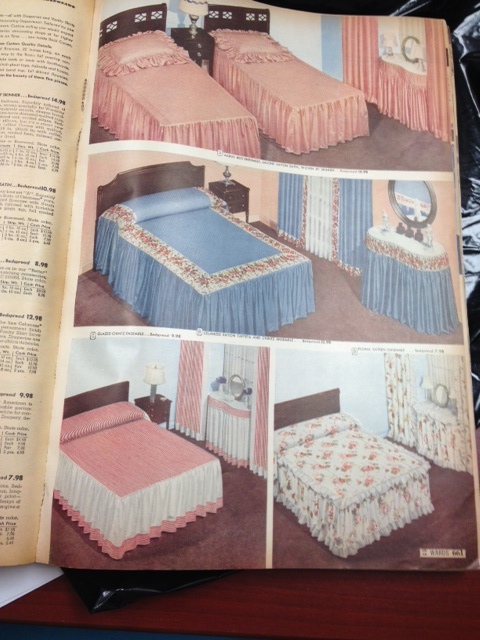 I love the pink ruffles on those bedskirts, too. So femininely pretty! 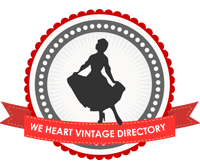 A different take on the subject of “vintage”. Great blog! Reblogged this on ShooLicious Blog. I recently inherited a 1942 diamond wedding band. I am thinking it probably came from Montgomery Ward. Anyway I could get you to send me some pics of those pages so I can check? It’s a yellow gold band with 5 small cut diamonds in a white gold setting. Ohh wow, very nice 🙂 yes I will see if those pages are still intact (I have noticed that a couple of pages have gone missing). If they are I will send them to the email I see attached to your profile. I looked at the book and there are lots of pages with rings, but when I took the pictures they did not come out quite right. The book is very fragile so I cannot scan. I’m going to look at them one by one tonight and see if I see the ring you mentioned. Toronto Pin Up Fashion Store Celebrates 20 Years!